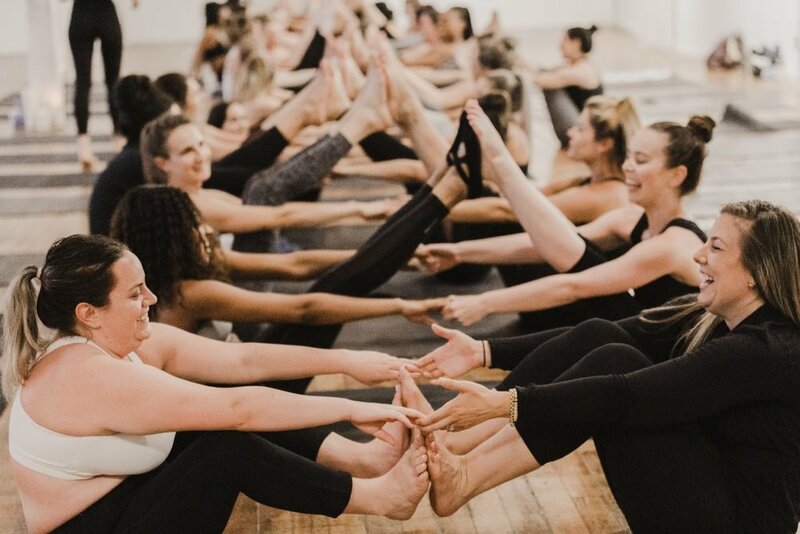 09/25/18 Fitness by Jacflash Women’s Power Yoga Workshop with Kay Ghajar, The Wellness Witches, and special guest Sophie Lukacs on the kora! 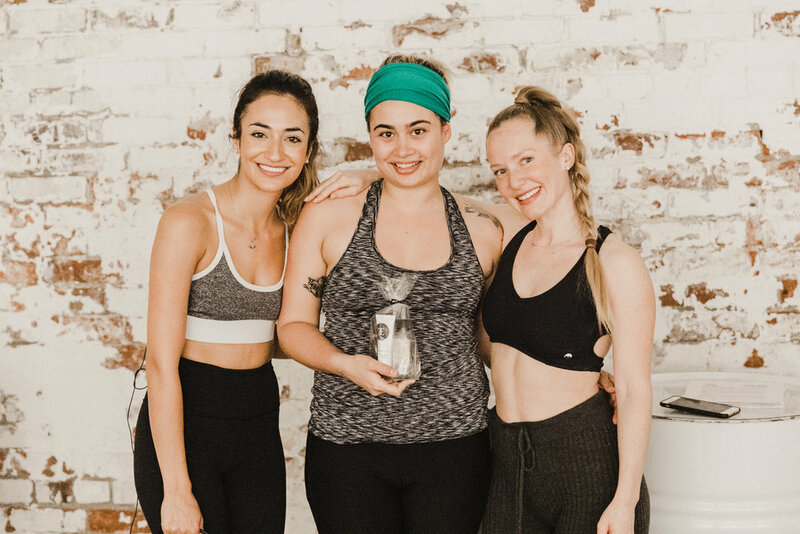 On Tuesday September 25th, Fitness by Jacflash hosted another Women’s Power Yoga Workshop with Yoga Instructor Kay Ghajar, The Wellness Witches (Jennifer and Renata), and a very special guest musician Sophie Lukacs! Goodie bag sponsors included Vo Beauty Co., Soapstones Natural Skincare, RAERE lashes, Ponytail Mail, Consonant Skincare, and the delicious nud fud. 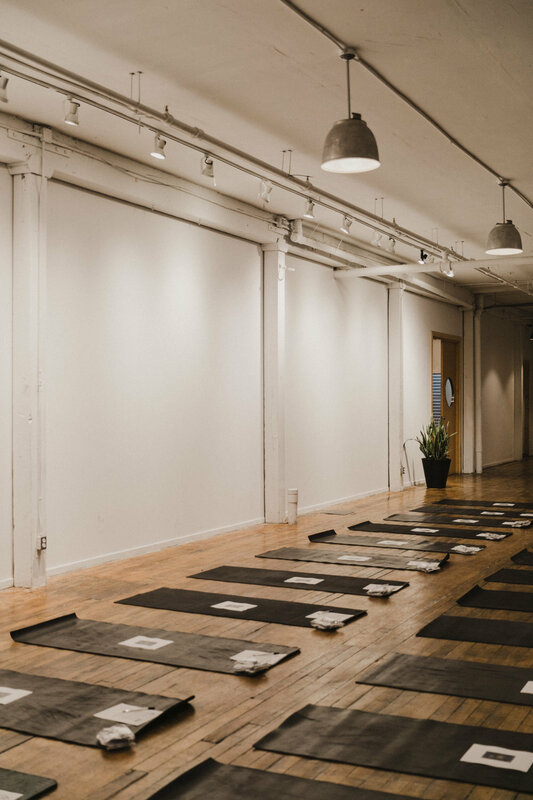 Yoga mats were graciously provided by lululemon stores The Local and Cumberland, allowing our attendees to just show up, without worrying about lugging around a yoga mat. Tea for the workshop was provided by long-time Fitness by Jacflash sponsor, Safaroma. Safaroma was created in response to a desperate need to provide a channel for thousands of Afghan female farmers to sell their products at fair market prices, thereby doing away with unscrupulous middlemen and dominant distribution corporations. In 2016, they began work with the Ghoryan Saffron Farmers' Union and expanded as a trusted partner for other women's co-ops as well as individual farmers. 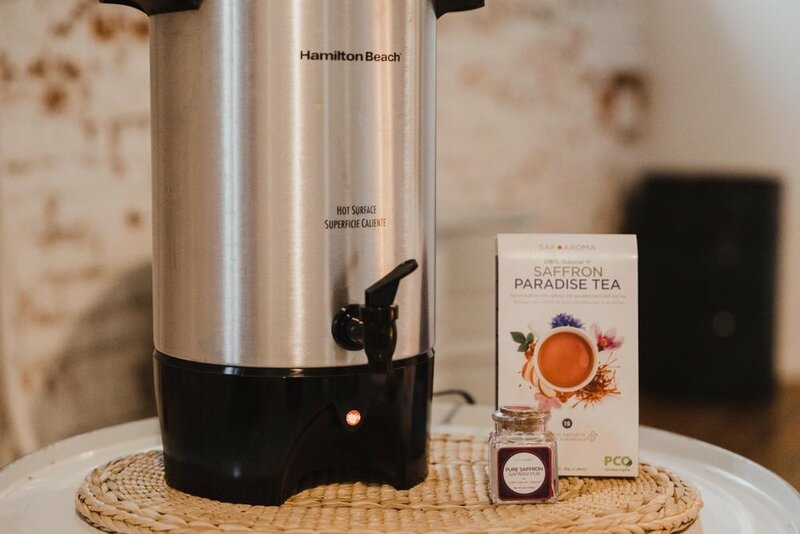 We were drinking their Paradise Tea (an herbal blend with infused saffron) for the evening. We were honoured to host The Wellness Witches, who led a fun and informative discussion about the solar plexus chakra. 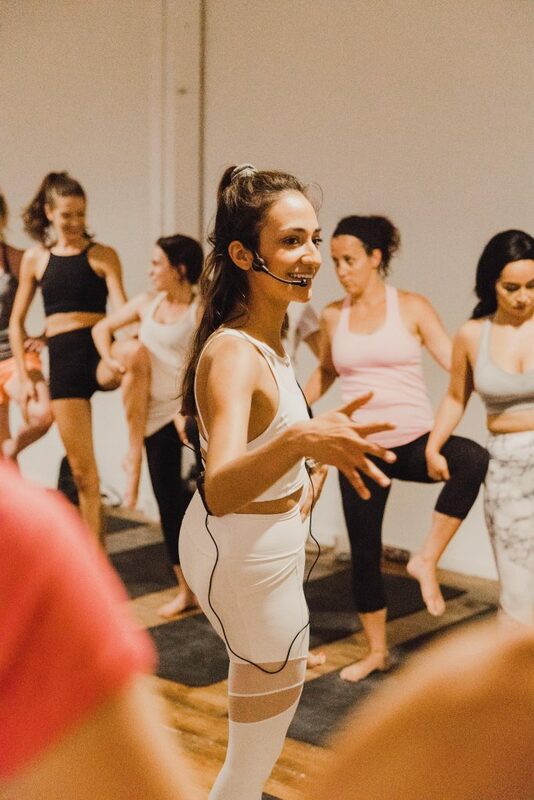 Our yoga instructor Kay Ghajar (@kayghajar) then lead us in a one hour power yoga session. 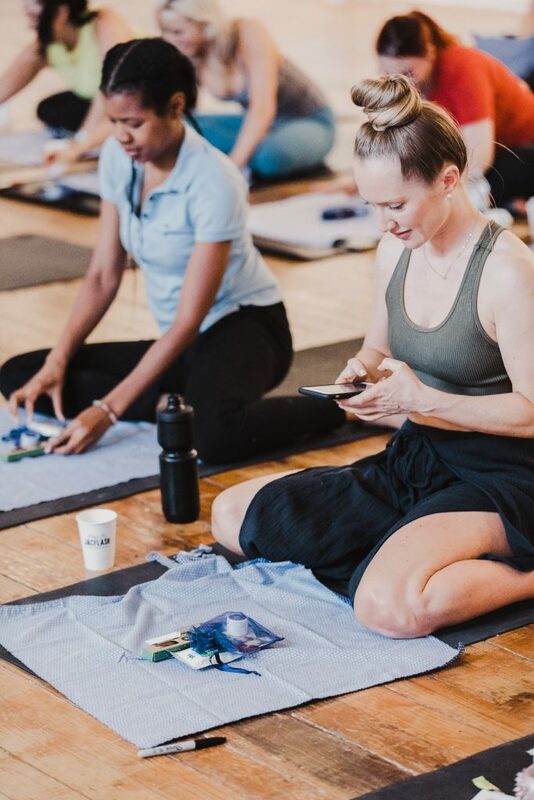 Her detailed, descriptive instruction and high energy made the class exciting, comprehendible and achievable for the women in the class who are all at different levels. 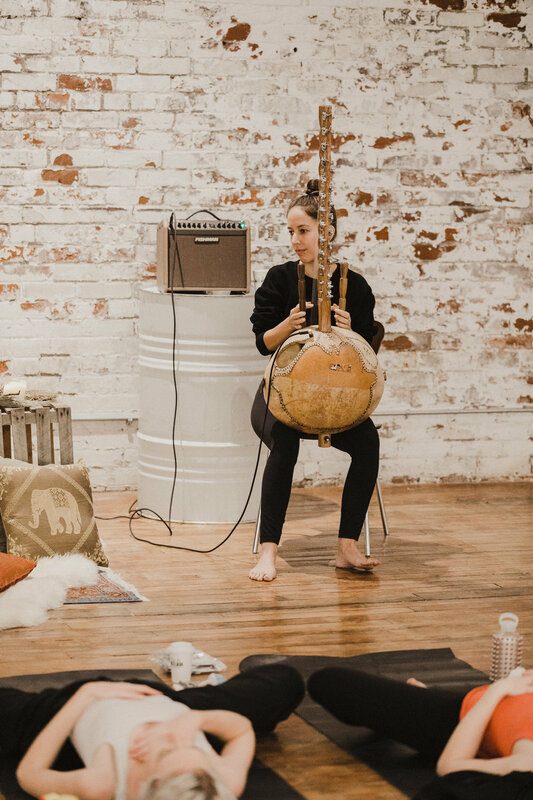 As a special treat, we had Sophie Lukacs (@sophie.lukacs) playing the kora at the beginning and end of the yoga session. The kora is a 21-string lute-bridge-harp, which originated in West Africa. Sophie has been living and studying the kora in Mali for the past 3 years. 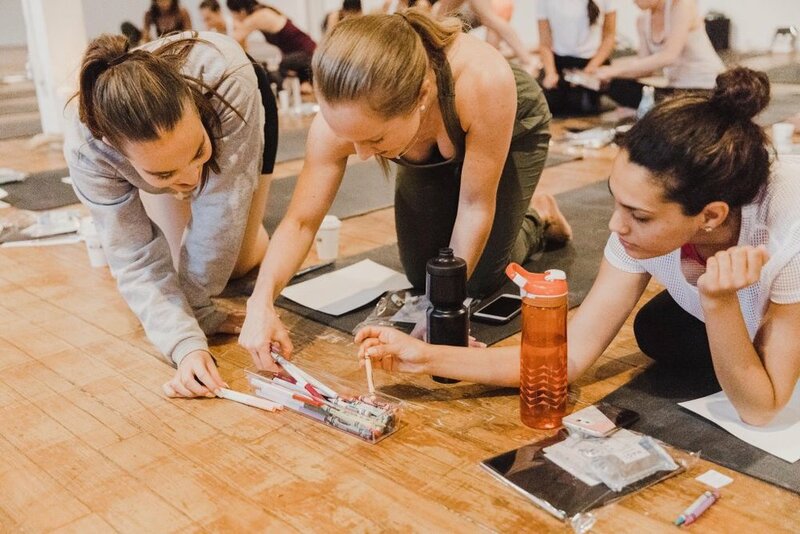 As always, we had lovely assistants Meredith, Jessica, and Ganna on hand throughout class helping everyone get deeper into each pose. Raffle ticket prizes included two Safaroma tea + saffron sets, a facial care trio, and a free outfit rental from Boro. We love picking the raffle prize winners! Nat, one of the co-founders of Boro, joined us for the evening and helped us present the raffle prize to our lucky winner. 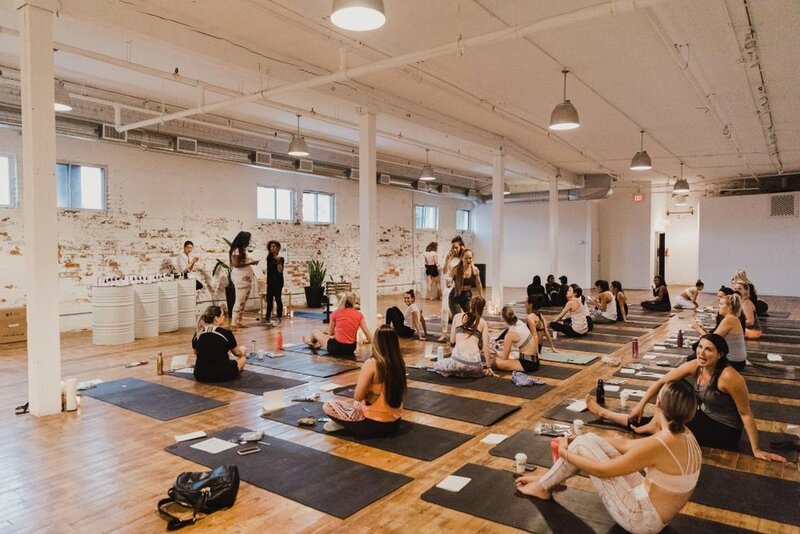 On Tuesday July 24th, Fitness by Jacflash hosted another Power Yoga Women’s Workshop with Yoga Instructor Kay Ghajar and Art therapist Afrinda @artology! Goodie bag sponsors included Hilroy notebooks, Way of Will, Nagi macaroons and Bathorium. Way of Will Set up shop at the workshop to sell their natural essential oil body care system for active lifestyles. Yoga mats were provided by Lululemon The Local for the evening. And tea was provided by Safaroma. Safaroma was created in response to a desperate need to provide a channel for thousands of Afghan female farmers to sell their products at fair market prices, thereby doing away with unscrupulous middlemen and dominant distribution corporations. In 2016, we began work with the Ghoryan Saffron Farmers' Union and expanded as a trusted partner for other women's co-ops as well as individual farmers. 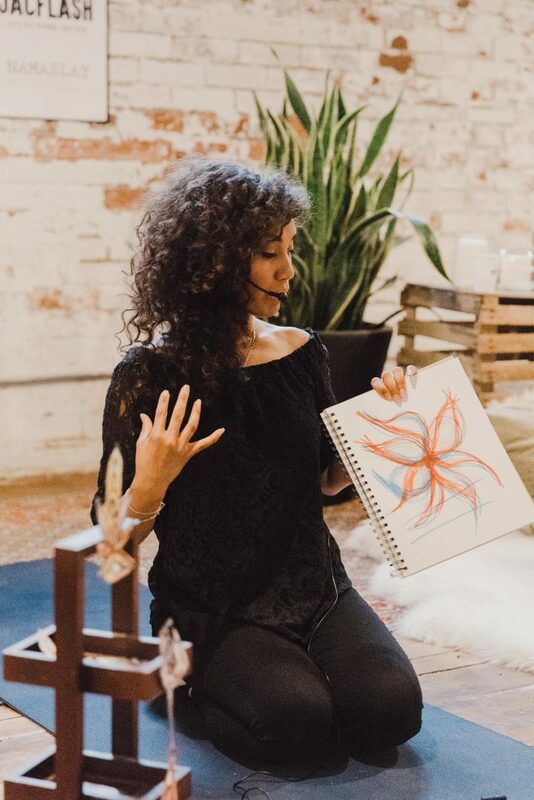 We were honoured to host Toronto Born Artist/Art Therapist Afrinda @ARTOLOGY, who spoke to us about therapeutic art making and led us in a group session. Our yoga instructor Kay Ghajar then lead us in a one hour power yoga session. Kay (@kayghajar) has been practicing yoga for almost 10 years. 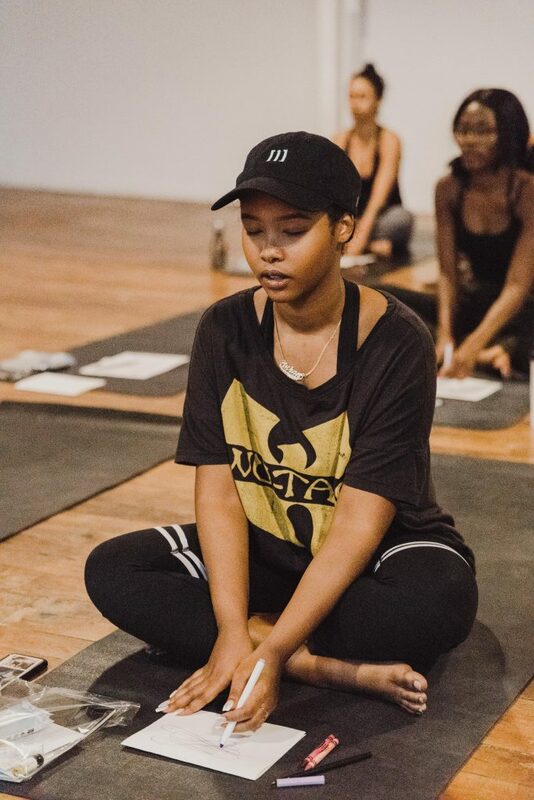 She began exploring different styles of yoga after taking courses in positive psychology, which informed on the benefits of yoga and meditation. 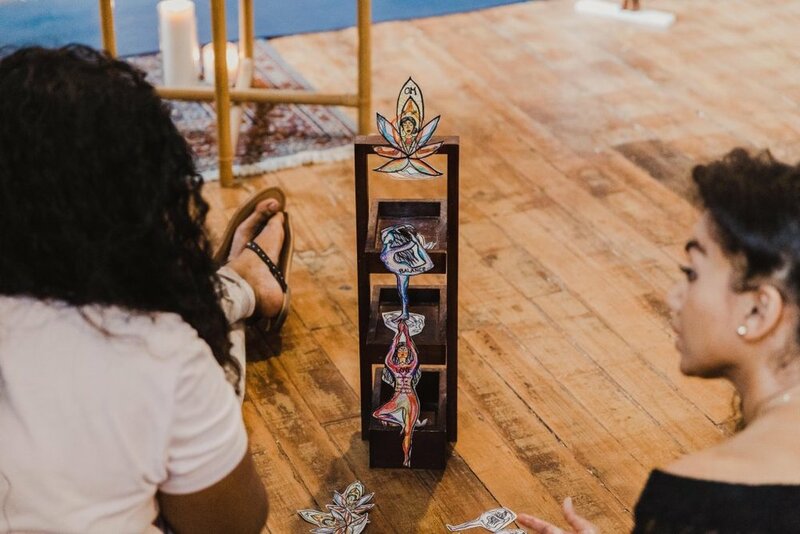 After a traumatic life event in university and failed progression through traditional counselling, she started practicing yoga and keeping a gratitude jar, which began her healing process and changed her outlook on life. 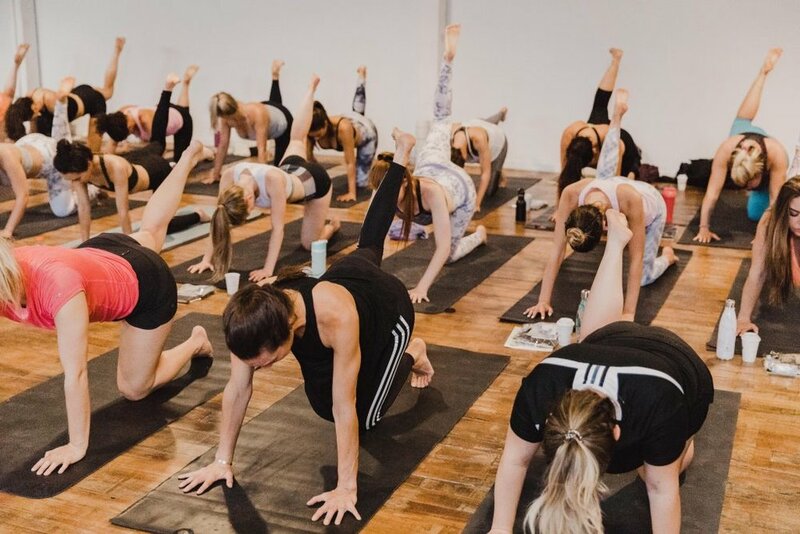 On Sunday, July 8th from 12:30-2:30 we held another fitness workshop with trainer Lara Marquez who heated up her BOOTY workout series with a shoulders burner. Squats, presses, dumbbell raises and more! 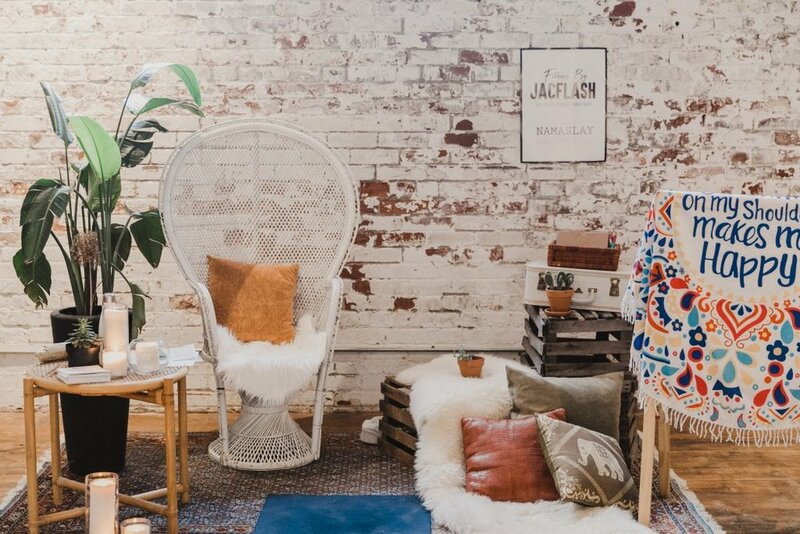 Kacie Krecolowich is a Registered Acupuncturist with a studio in Yorkville called SILK + PALM. 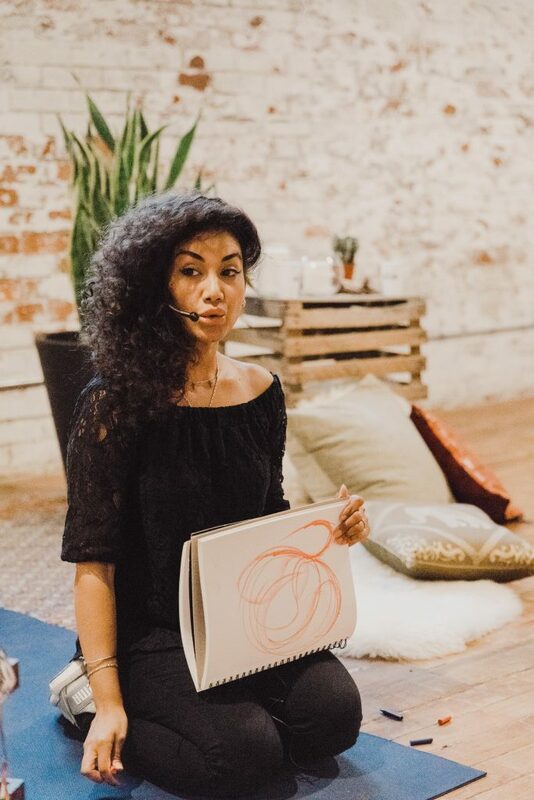 After spending 8 years as an Aesthetician and Skin Therapist, her own health journey brought her to Acupuncture where she competed a Diploma in Acupuncture at Eight Branches Academy of Eastern Medicine. 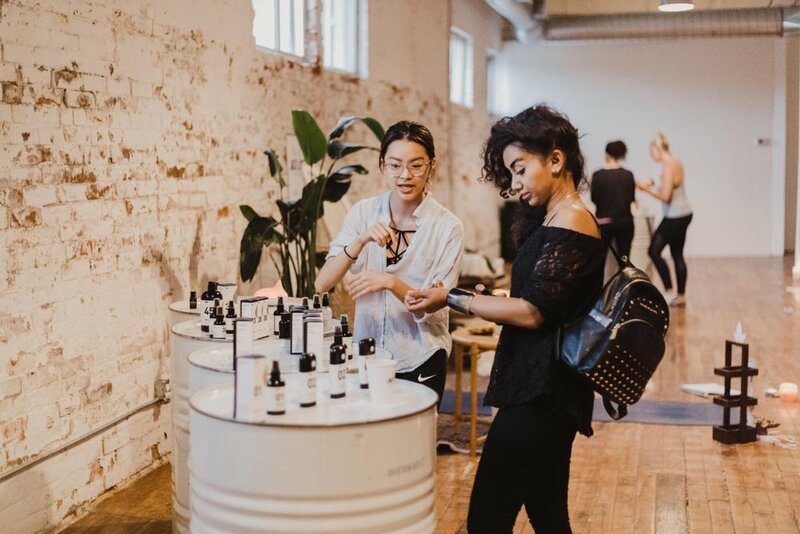 Her focus is to continue providing skin therapy through a holistic approach with Cosmetic Acupuncture and her own line of small batch, all natural skincare, while also focusing on Women’s Health and Hormones to bring a balanced state to the body and encouraging women to… glow with the flow! During the workshop, Kacie explained exactly what Cosmetic Acupuncture is and how it works to benefit the skin. She also demonstrated a Gua Sha/ Jade Roller Facial massage to give the skin a silky glow! 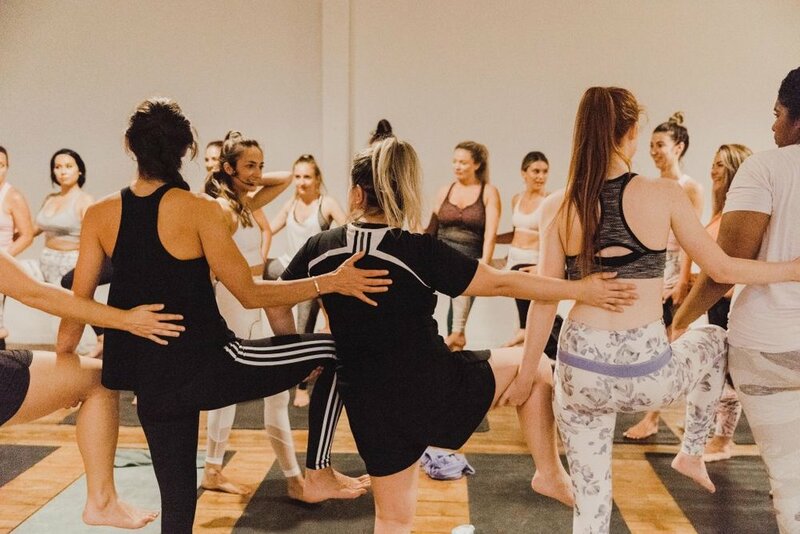 Last Tuesday we hosted another amazing yoga workshop! 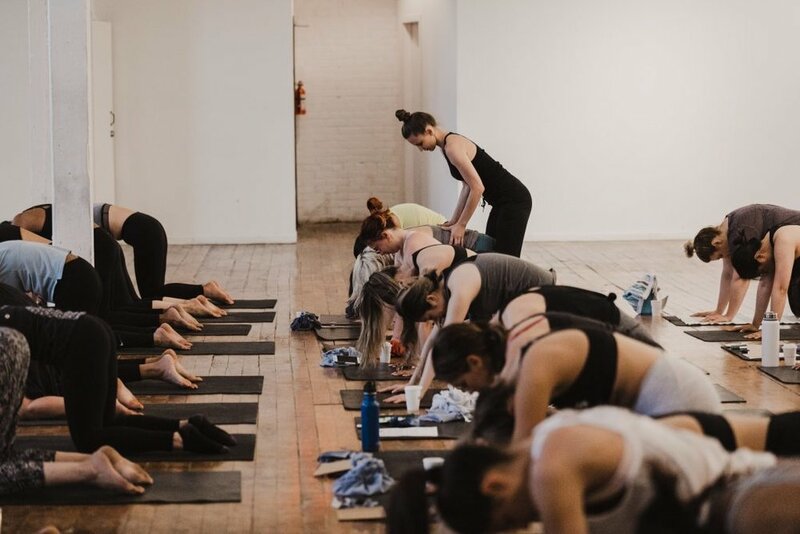 At all of our workshops, all levels are welcomed and encouraged! 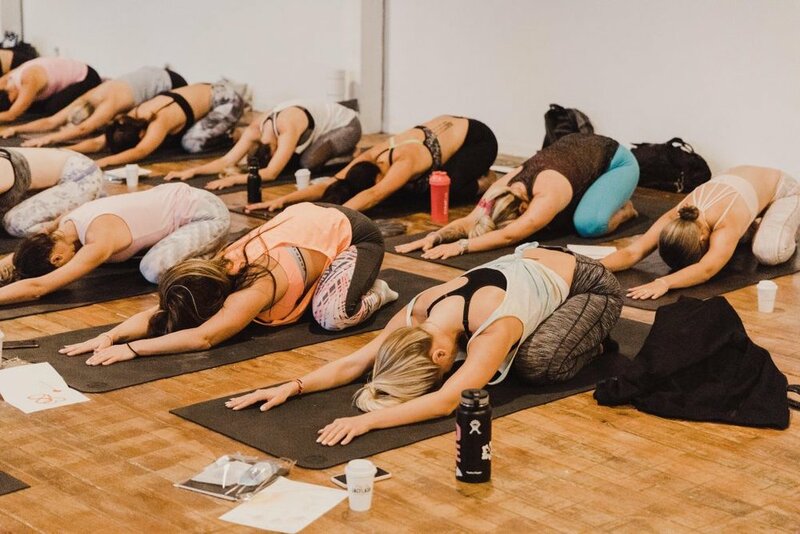 Yoga mats were provided for use for the evening by The Local Lululemon. 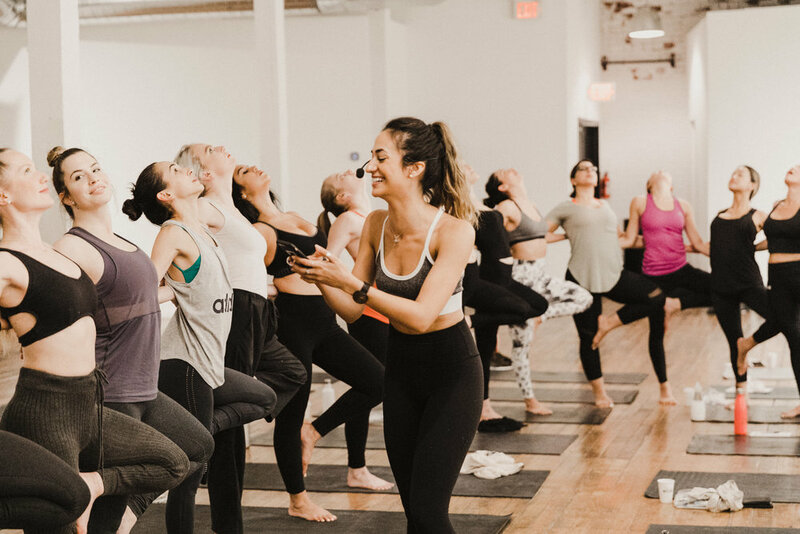 Our instructor Kay Ghajar (@kayghajar) has been practicing yoga for almost 10 years. 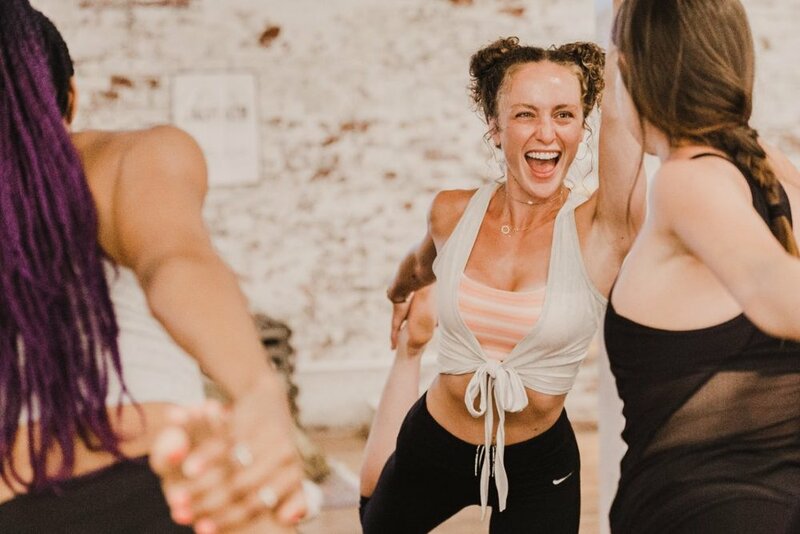 She began exploring different styles of yoga after taking courses in positive psychology, which informed on the benefits of yoga and meditation. 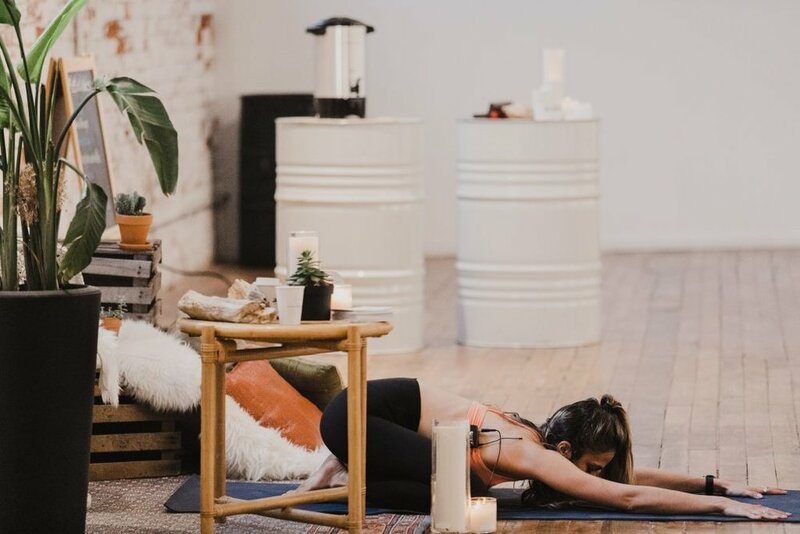 After a traumatic life event in university and failed progression through traditional counselling, she started practicing yoga and keeping a gratitude jar, which began her healing process and changed her outlook on life. Sophi is the Zero Waste Event Coordinator for the Toronto Tool Library. She has been striving to live a waste less lifestyle with her family of three since 2016. She documents her journey on social media as @YourEcoFriend. At the workshop, Sophi helped us find simple and accessible solutions to reach our eco lifestyle goals. She also spoke to us about Furoshiki- Japanese art of cloth wrapping. We learned how to cloth wrap gifts beautifully without tape or any waste. The wrapping becomes part of the recipient’s gift so that they can reuse the cloth themselves or for another gift. We’ll cover hard to wrap gifts like wine bottles and toys. This can also be applicable for transporting other items such as food. 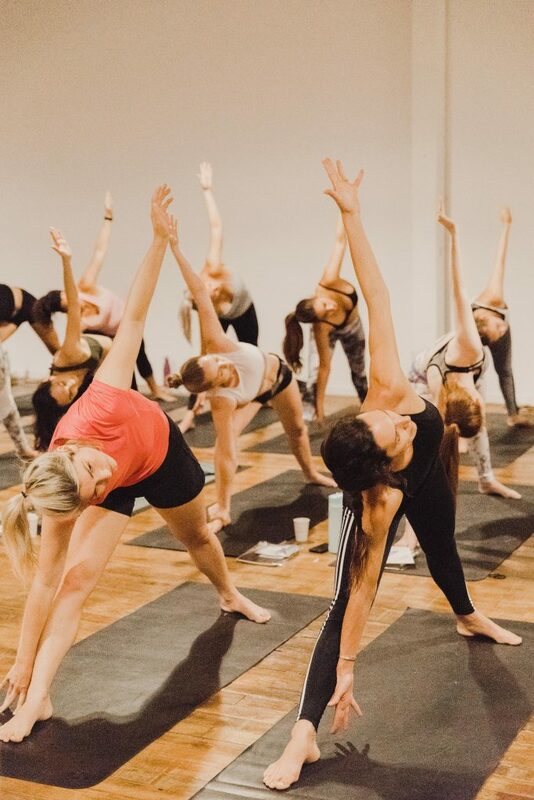 Extra special thank you to our assistant yoga instructors walking around, giving everyone one on one love, answering any questions and helping us in our poses! Our Fitness workshop was held on Sunday June 3rd from 12:30-2:30. Trainer Lara Marquez continued her BOOTY workout series and paired it with a BACK strengthener. Squats, thrusts, rows and more. Dr Aliya Visram is a chiropractic doctor and registered acupuncturist in Toronto. 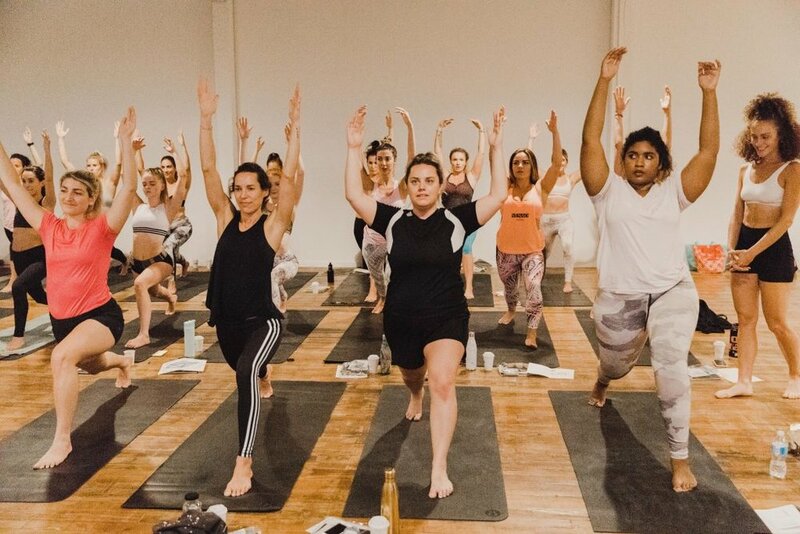 A certified yoga teacher, strength and conditioning specialist and rehabilitation expert, Dr Aliya uses her knowledge and hands on experience to help diagnose and treat various complicated injuries. Specializing in women’s health, Dr Aliya has developed a multi-faceted integrated approach that promotes whole body wellness. Her journey back to fitness post-baby has helped her understand and develop a new program of injury management and prevention exercises and techniques based on current research and patient outcomes. When she’s not in the clinic, you can find Dr Aliya on her yoga mat, going for a run or sharing cuddles with her tiny humans Rose and Will. Dr Aliya shared the latest tips and trends on performance optimization and how to prevent injuries from occurring during training. 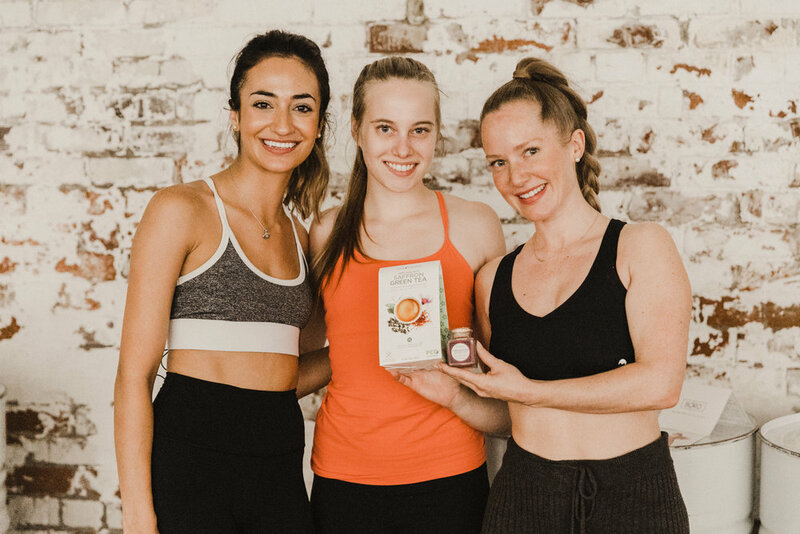 She demonstrated an integrative approach to injury management using active release techniques (ART), acupuncture, dynamic cupping and sports taping. By the end of this workshop we learned how to prevent training injuries from occurring and how to use some key pain management techniques (including taping) to help relieve pain. 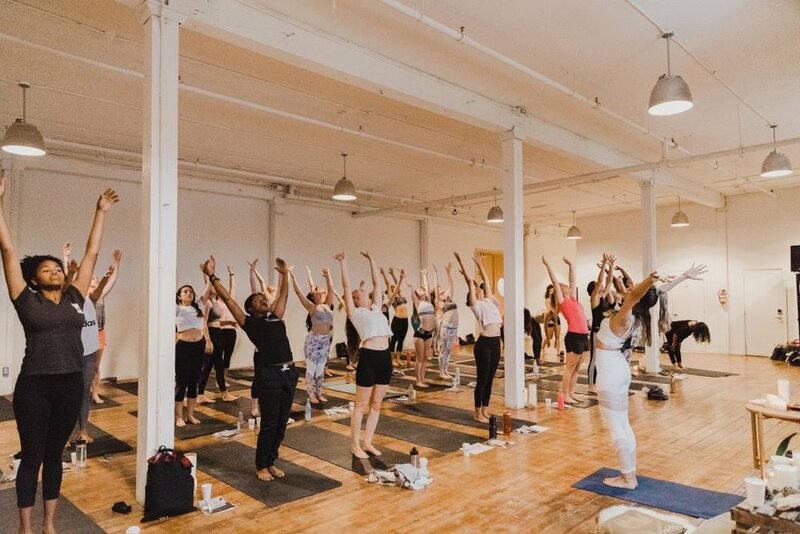 In celebration of Mother's Day, 100% of proceeds for this workshop went to Sistering.org, a multi-service agency aimed at supporting women in Toronto facing poverty, marginalization, and homelessness. Women at Sistering are battling a range of difficulties including mental health problems, substance abuse, run-ins with the criminal justice system, lack of access due to immigrant/refugee status, and more. 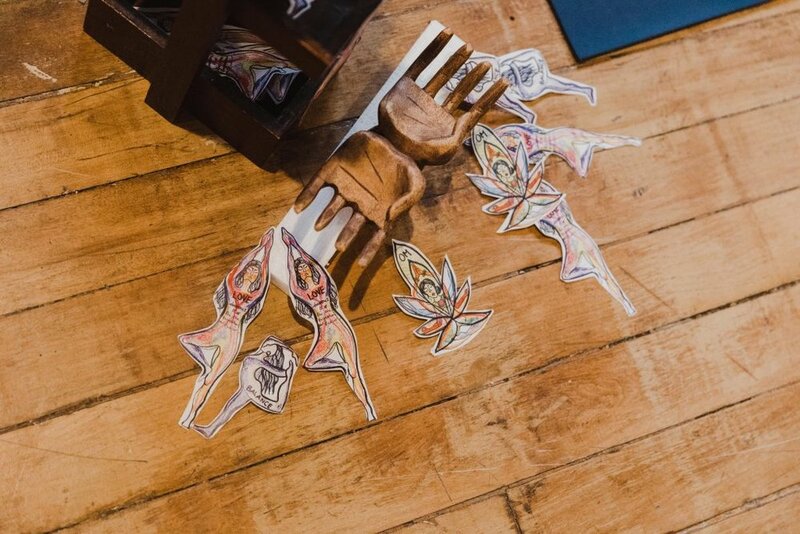 At Sistering, a small team of women work tirelessly to offer a 24/7 drop-in, that provides shelter, hot meals, crisis intervention, harm reduction, and trauma-informed counselling services. They also make referrals for housing, health, and legal and immigration services. This Sunday fitness workshop with trainer Lara Marquez took place on Sunday, May 13th from 12:30-2:30. Lift your minds. Lift your bodies. The ultimate circuit workout was designed to challenge a woman of every fitness level. Squats, crunches and rows. I was thrilled to have my very own naturopath, Dr. Tracey Beaulne, speak to us at this workshop! Dr. Tracey M. Beaulne ND, has been a clinician for over 17 years. She focuses on complex gut-to-brain and immune connections. 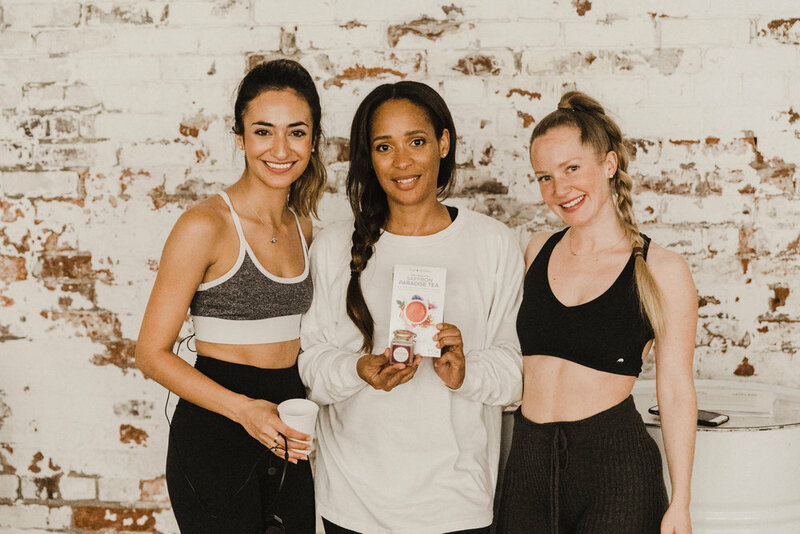 Her personal and clinical experience with gut health has shaped her methods of treating the critical internal ecosystems. 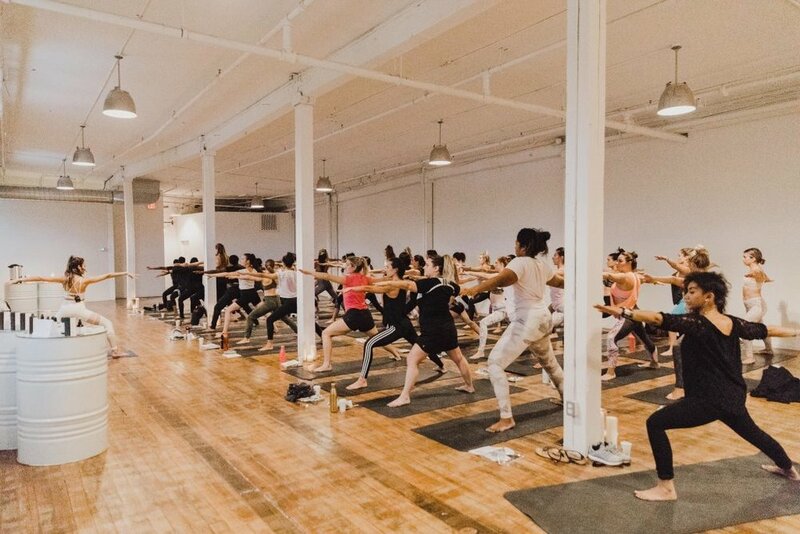 In addition to her clinical practice she is the host of the Microbiome Summit for Town Hall Medicine, a partnership between the University of Toronto’s Leslie Dan Faculty of Pharmacy and Genuine Health. In Tracey’s words “I had the honour and privilege of interviewing our experts to learn about their ground breaking research. My goal through all of the interviews is to elevate the conversation on current health topics by providing information that is accurate, credible, proven and trusted. I hope you will be inspired to join us in this educational journey to better health”. Dr Tracey can be reached at thetummyclinic.com and www.townhallmedicine.com New science is telling us that all our thoughts, behaviour and reactions to stress and even our ability to have empathy are potentially being driven by the gut bugs— which have been under attack and neglected for decades! 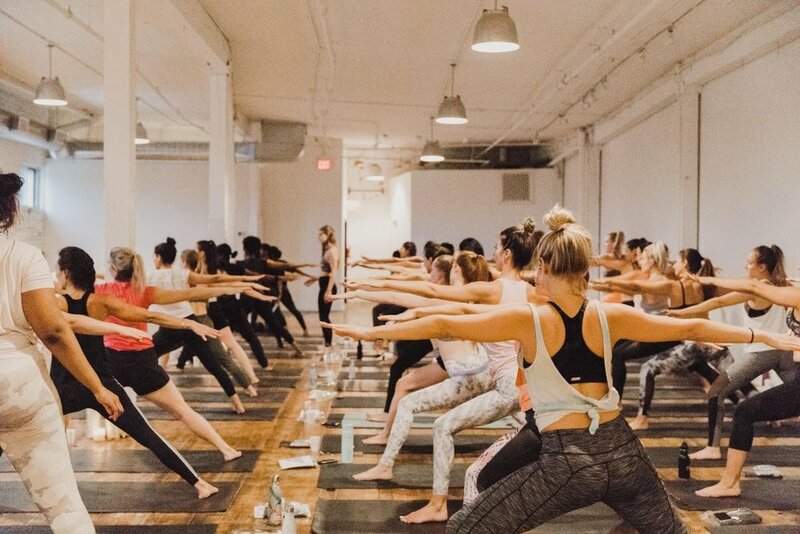 We are seeing rising rates of anxiety, depression, less stress resilience and a surge in brain disorders, which appears to be influenced, at least in part, by the relationship between microbes and our lifestyle. With this knowledge it is easier to have greater empathy towards ourselves, our elderly and our young and work towards positive change for our Mother Earth.